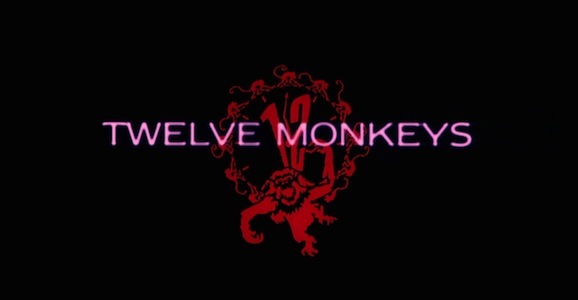 Though everyone involved is taking great pains to make sure that you know this 12 Monkeys is not that 12 Monkeys, there are sure to be some cross cutting between the two. If there aren’t some shared elements, then what the hell is the point of calling it the same thing? Aaron Stanford plays Cole; that much hasn’t changed since Bruce Willis played a character of the same name back in 1995. Also, like the original, Cole lives in a bleak future where a mysterious disease has decimated the human population, though it hasn’t forced them to live underground. He is sent back in time to our present to prevent the pandemic, where he meets Cassandra Railly (Schull), the updated version of Madeleine Stowe’s character. Stowe’s character was called named Kathryn, which is way less on the nose than Cassandra, who, in Greek mythology, can see the future. This all sounds pretty similar the original, right, and you’re probably wondering where all of these differences and this reimagining come in. The biggest changes sound like they will occur in the tone and style. 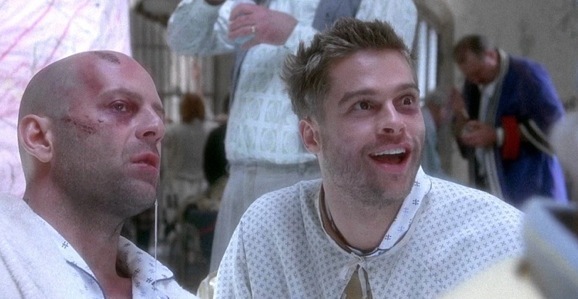 Gilliam’s film is full of his trademark strangeness and unique vision of a bleak, ruined future. It isn’t as whacky or silly as some of his films, but there are touches of the bizarre and insane, all accompanied by a score that makes you feel like you’re at a really grim circus. The shot-in-Detroit pilot, on the other hand, attempts to create it’s own dystopian future, which sounds a lot more straightforward, which I can’t help but interpret as way more boring and without joy. We’ll have to wait and see. Fans of the film will remember that, despite Cole’s best efforts, he was unable to change the future. In this incarnation, however, that fact has changed. This new Cole can actually affect the change that he sets out to accomplish. Time, it turns out, is a much more fluid proposition in this version. Fickett, Matalas, and company aren’t interested in simply rehashing what Gilliam did, and want to do something different. While they’re all fans of the original, not everyone involved has even seen it. Schull says that, after she was cast, she made the conscious choice not to watch the movie before shooting the pilot so pieces didn’t subconsciously enter into her performance. She did, however, watch it afterwards. 12 Monkeys will premiere on Syfy in January 2015, and figures to play a prominent part in the networks increased commitment to develop new, original sci-fi content instead of just showing wrestling, reality shows, and schlocky creature-features like Sharknado. There are a few bits of footage in this recent trailer pumping all of their upcoming shows.